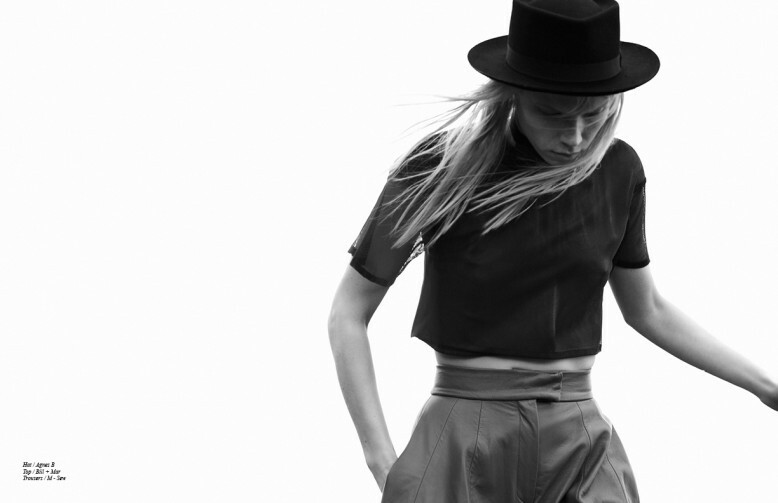 Model Noora sports neutral pieces from Agnès B and Paul & Joe in this Schön! exclusive editorial, shot by Claire Brand. With styling by Ellie Lines, dark landscapes and bleak skies take centre-stage.